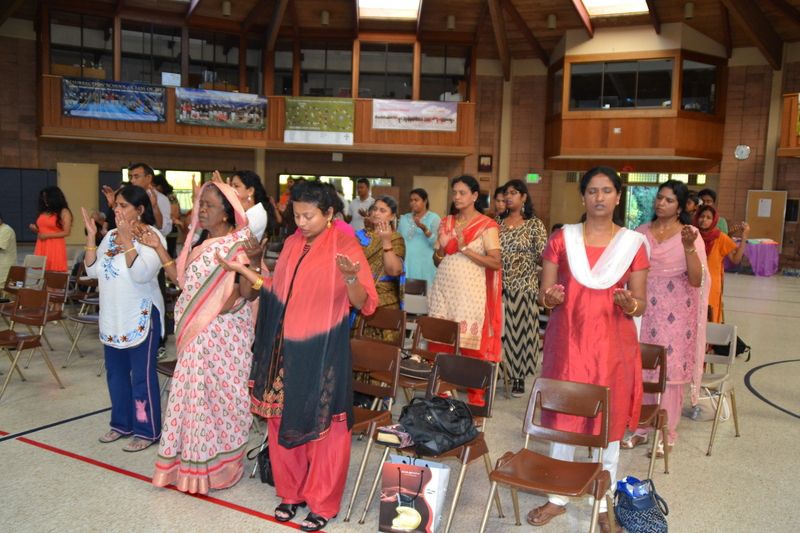 Tipped from several people including Robert Kenny and Kavitha Remy, SHTCG proudly arranged a retreat by Sr. Caroline of Mirabella Ministry, Madurai at Farana Center in the Church of the Resurrection on 28h June 2014. The retreat started with worship songs, prayers and strong 2 hour message and witness by Sr. Adeline. About 60-70 people not only from SHTCG but also from other churches and places. Sr. Adeline message was mainly on a hot topic 'Irai Payam'. She also briefly touched 'Mana kann' and 'Irai bakthi'. 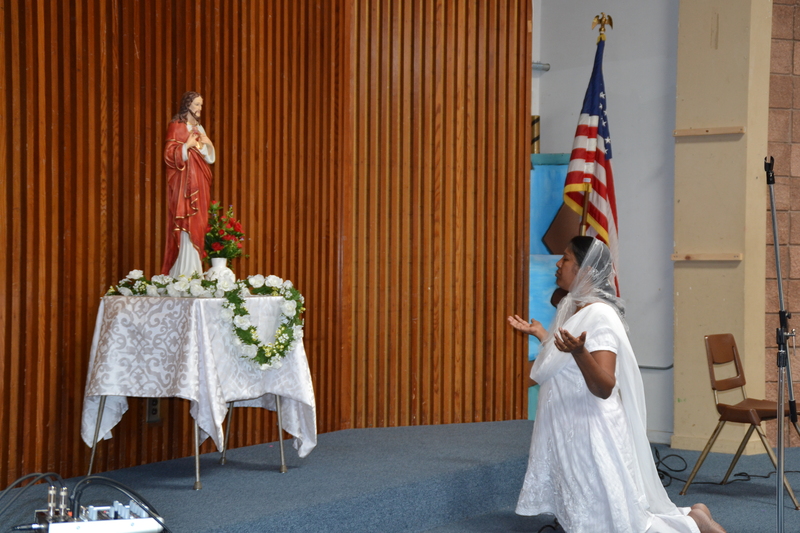 Everyone praised our Lord when heard about Sr. Adeline's rebirth to spread Gospel to various people worldwide. She finished the retreat with strong pitiable prayer for the community and people around the world. It was concluded with Thanksgiving and short dinner. 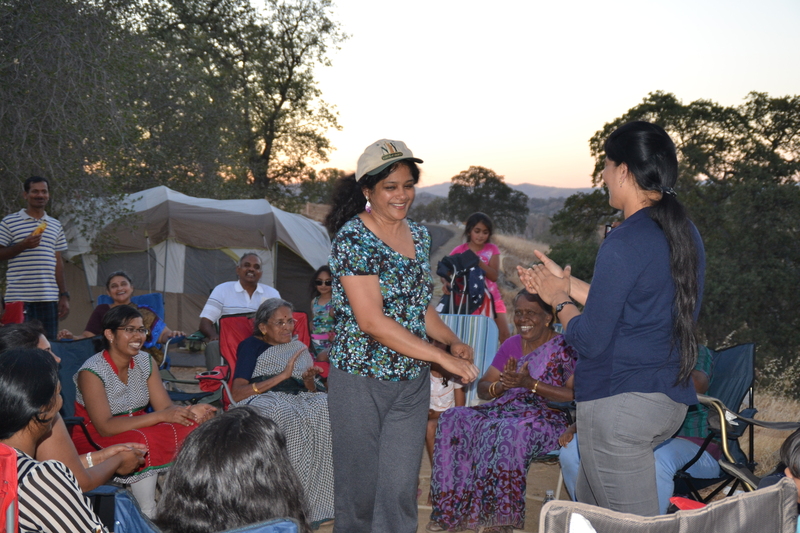 Jebamalai A. Samy arranged a summer camp for our community members near Yosemite National Park. It was signed up by almost 100 members of the community. Samy communicated very well with all family members who signed up for camping through yahoogroups. 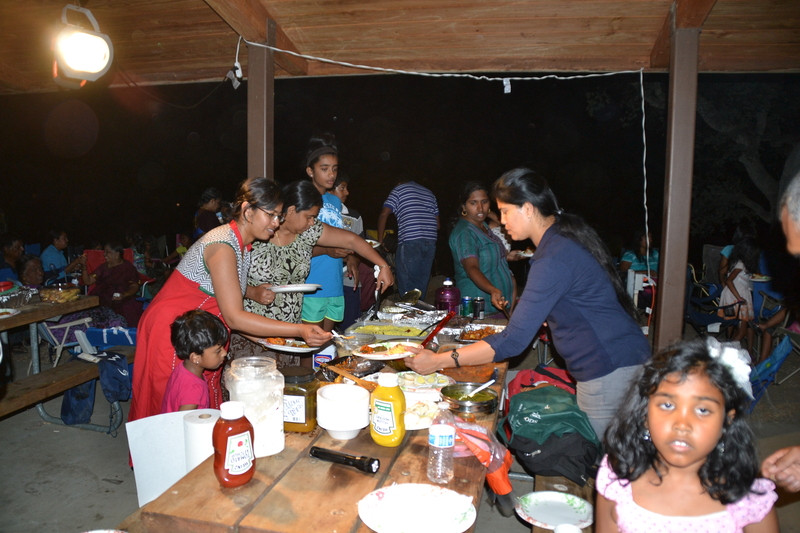 Food items were planned, calculated and split among all the families for 3 day staying by mainly Christina Selvaraj, Christy Sekar and Isabella. Common items including camp fire logs and fuel were purchased before camping. 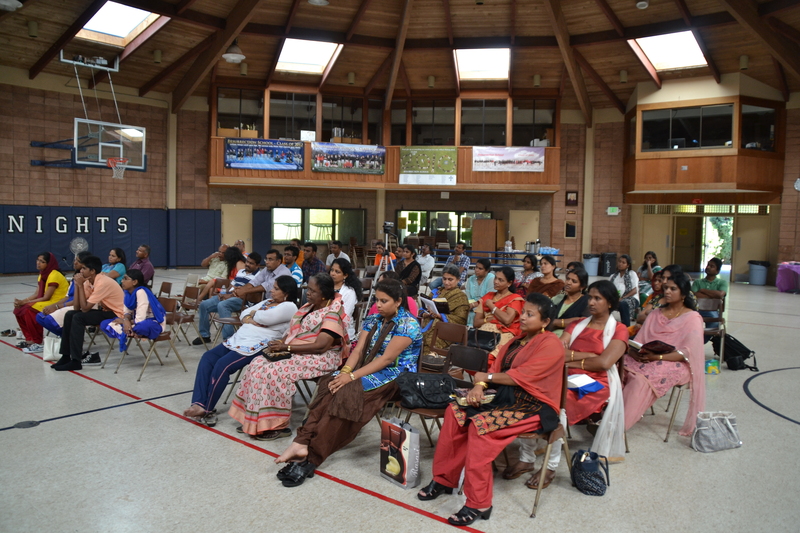 Around 11 am on July 4th 2014, most of the camping families assembled in Our Lady of Peace Church. Trip started with Shrine visit and small prayer by Lilly Samy and took 2-3 hr trip to Codorniz Recreation Camping site at Raymond, CA. John Durai and Isabella were the first people located our camping site and welcomed all incoming families. Camping tents were installed for all the families. Started with sugarless coffee, there were lots of delicious BBQ'ed items mainly John and friends. 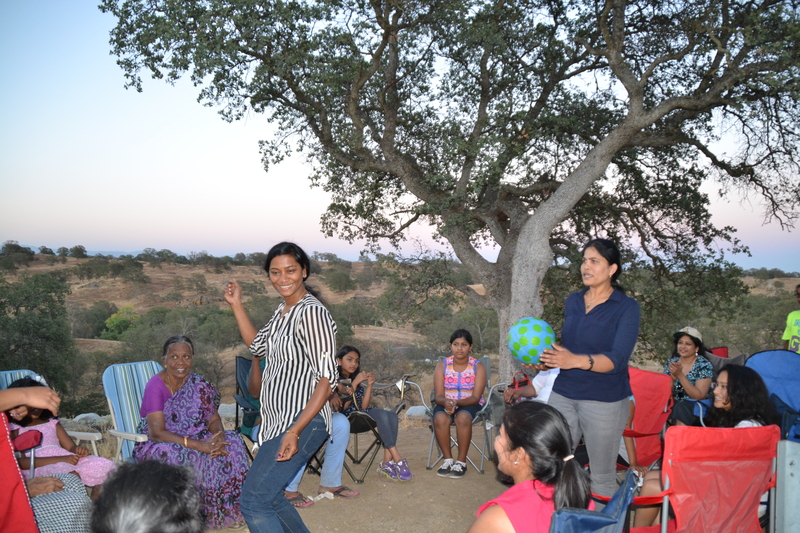 In between, there were games women and Children coordinated by Auxilia and Lilly and Antony. Camp fire started with a nice song coordinated with a message by Barthelom Francis, a Guitar played solo by Sophia and National Anthem by Sarah. Parties were ongoing until 2 am with Pattukku Pattu. Some people even stayed longer night. July 5th was started with Tea and Saturday prayer with Barthelom's song, Bible reading and message. Isabella, Antony and other shared their views on the Bible reading. Morning was spent with playing Voleeyball, kids game and kid's musical chair. Authentic tamilian food like Puliyotharai, lemon rice and yogurt rice were served during lunch. Games for adults occupied most of the afternoon with water balloon by kids. For that sweating weather, water ballooning with kids and adults were fun and cooling. Evening part started with an adult game 'Jodi Porutham' organized by Auxilia and Lilly followed BBQ mainly taken care of by Sanjay and friends. In between, Charles Jeganathan was celebrated. Finally, prizes and plaques were presented by Samy to various game winning kids and adults. On Sunday, the 6th every family cleaned up the place and wound up the trip back to the bay area after taking brief breakfast. Over all, it was a memorable and enjoyable BBQ Camping trip to Yosemite area. Nice pictures were taken by Victor and Joseph, and can be seen in the galley page.